Great place. The teachers work so well with my son. I'm so appreciative. My son loves the "Little Champs" program. It has taught him to defend himself, given him confidence & had helped teach him important life lessons! Sensei Rodrigo has been a great influence & teacher for my son. 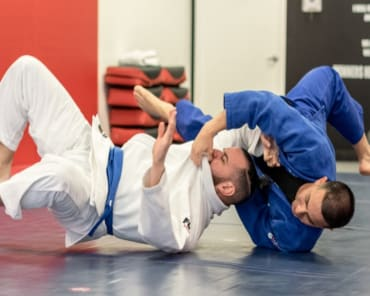 I cannot say enough good things about Poise Martial Arts. We are so happy we found this studio. It is so well run and immaculately clean. The Sensei has a razor-sharp focus and provides a safe, stable environment for the kids. I also recommend the 90-day fitness challenge for adults. It provides a great environment for those who are looking to get back into shape. Love the classes! They motivate you. They are so much fun! This is a great place to exercise, stay healthy and have fun. The instructors are super friendly . I feel great after class. I am so happy that my cousin recommended to me.Great experience. Come and join us. I love this school! It's more than a martial arts facility, it's a family. My son learns martial arts AND personal development skills at the same time. The environment is one of togetherness and comfort. 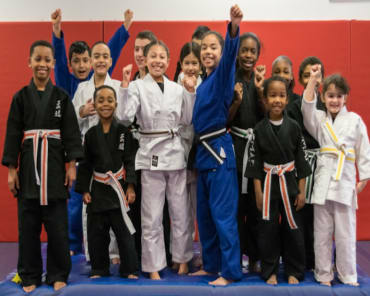 Poise Martial Arts changes lives with much more than just their martial arts. My daughter and I are both students here and it's a wonderful place. We received a warm welcome right from the beginning. I'm so happy to have such a great place to go to, train together share our passion for the sport. PMAF is fun, energetic and a great place for a motivational fitness experience! I've been a part of the 90 day fitness challenges for quiet some time now! I enjoy the team setting and family dynamic! It's not just a place where I go to workout but the place I go to get inspired and motivated! Each class is different! It's never boring! I never know what the workout will be but I know it will push me to my limit and help me reach my fitness goals! I recommend PMAF to anyone interested in getting fit and healthy! Poise Martial Arts has changed my life for the better and the environment there is also changing the mindset of many other people especially children. Great place for kids to learn discipline and self-control. I highly recommend this center.